The Conference of Peripheral Maritime Regions (CPMR) is a European Association gathering some 150 Regions across Europe, which strives to support their interests in the core areas of territorial cohesion, maritime policy, territorial accessibility and multilevel governance. The CPMR Intermediterranean Commission (IMC) is one of the six CPMR Geographical Commissions and gathers around 44 Member Regions from 9 different EU Members States and other countries from the Southern EU Neighbourhood. 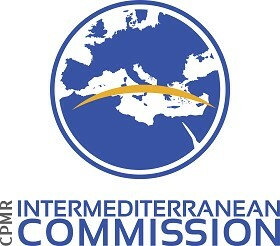 The CPMR Intermediterranean Commission focuses its action on the development of the Euro-Mediterranean dialogue and territorial cooperation, concentrating its efforts on Transport and Integrated Maritime Policy, Economic and Social Cohesion, Water and Energy, Territorial cooperation and Macro-Regional Strategies, also mobilizing partners from the southern rims of the basin. The CPMR Intermediterranean Commissionis currently involved in several EU cooperation projects with its Regions and territorial partners. The CPMR Intermediterranean Commission is currently seeking a “Projects & Policy Officer” who will be working in the framework of the Intermediterranean Commission and its team, particularly supporting the drafting and implementation of EU cooperation projects. The successful candidate should have proficiency in English and good level of French and/or Spanish (knowledge of any other Mediterranean language will be an asset), a Master Degree in a relevant field, as well as at least 3/5 years minimum experience in EU cooperation projects/programmes (especially territorial cooperation). The selected candidate should also be a skilled, autonomous and very dynamic person with high predisposition to team work in a multilingual context. The position is based in Barcelona. A full job description can be downloaded HERE – Please consult all the details before applying. Deadline for applications: 4th December 2018 at 12.00am CET. Please note we will look at applications on a rolling basis (do not wait the deadline to apply). Interviews planned from 10th to 21st of December in Barcelona or by Skype. Specify on the e-mail subject: “Application Projects and Policy Officer – CPMR Intermediterranean Commission”. (or to give references/contacts of previous employers).